If you have a limited budget of around Rs. 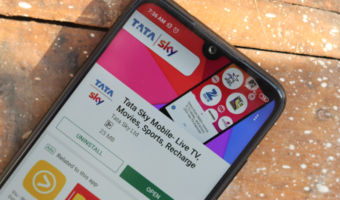 10,000 and you want to buy a smartphone which will suffice for some apps and basic games, here is a list of 5 best smartphones that I have shortlisted which I think will give you the best possible value for your hard-earned money. 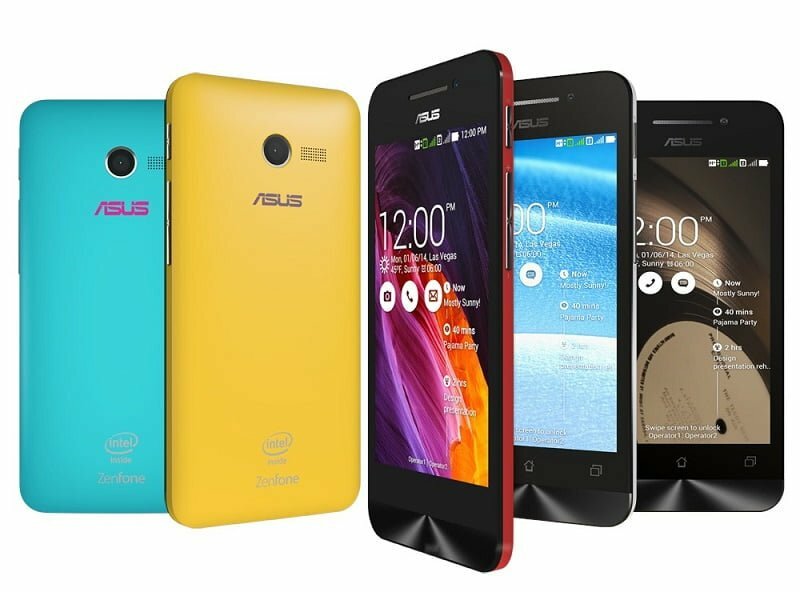 Asus Zenfone 4 is the cheapest of all the three smartphones of under the Zenfone range of smartphones launched recently. It comes with a decently sized 4 inch LCD display with WVGA resolution and Gorilla Glass 3 protection, which is a first in its price range. Also, it is commendable to see Asus offering a 5MP camera with autofocus that can record full HD 1080p videos at this price. The phone runs on Android 4.3 with Zen UI but Asus has promised that it will be updated to Android 4.4 KitKat very soon. A 1.2GHz Intel Atom Z2520 processor with PowerVR SGX544MP2 GPU and 1GB of RAM does a decent job in providing a smooth experience while multitasking apps and slightly graphically intensive games. It comes with 8GB of internal storage and has a microSD card slot. Connectivity features include 3G, Wi-Fi b/g/n, Bluetooth v4.0 and MicroUSB port. There’s a 1600 mAh battery which is good enough for a day’s worth of battery life for a phone with 4 inch display. The Asus Zenfone 5 is currently available for Rs 5,999 on Flipkart. Micromax was the first one to flip out to the Moto E’s threat with its device, the Micromax Unite 2. It features a 4.7-inch WVGA (800×480 pixels) screen with a pixel density of 199 ppi. It is powered by a 1.3 GHz quad-core MT6582M processor (with Mali-400MP2 GPU) matched with 1GB of RAM. There is 8GB of ROM and a microSD card slot for storage expansion. The device sports a 5 MP autofocus rear camera with 720p HD video recording and 2 MP front-facing camera. Unite 2 runs on Android v4.2 KitKat and its specialty is that it features 21 pre-loaded local languages. It is equipped with 21Mbps HSDPA 3G, Wi-Fi b/g/n, Bluetooth 4.0 and MicroUSB port. 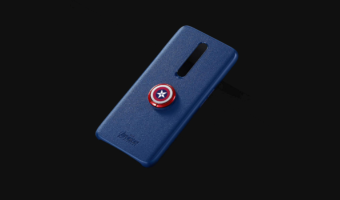 There is a 2,000 mAh battery which supposedly lasts up to 8 hours of voice calls. 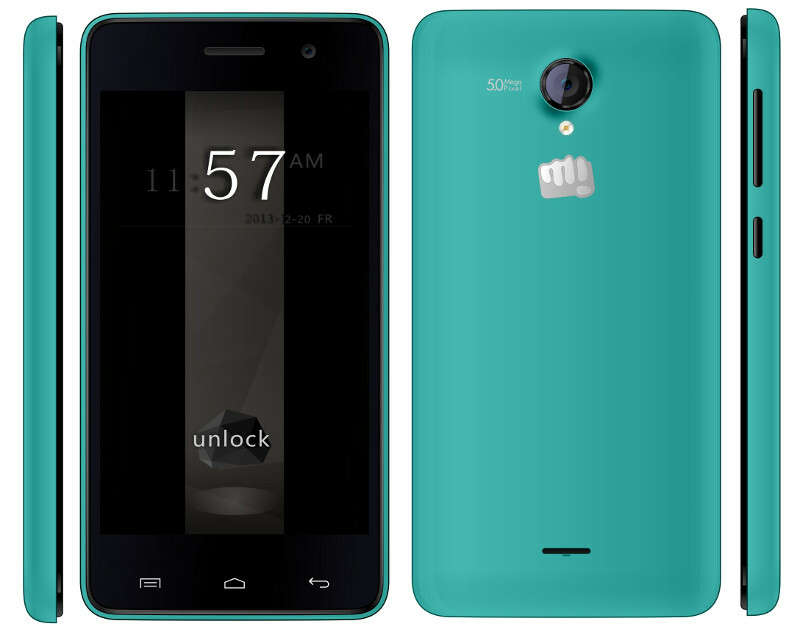 The Micromax Unite 2 is priced at Rs 6,999 online but don’t get it confused with the Micromax Unite 2 A092 which is a slightly lower end model with Android 4.3 and VGA front-facing camera. 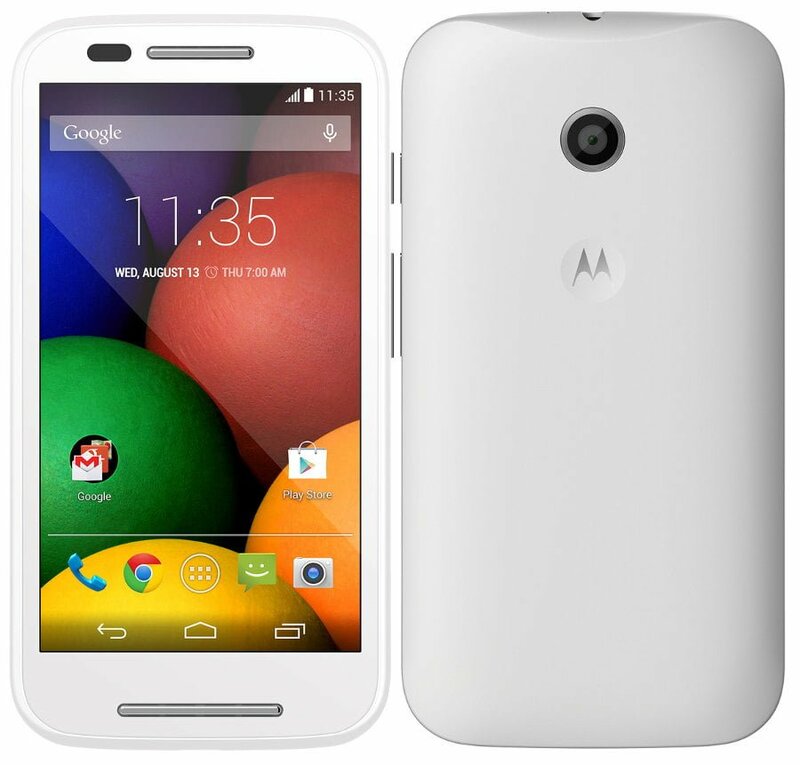 The Motorola Moto E was released in India exclusively via Flipkart at a price of Rs 6,999. It has a 4.3-inch qHD (960×540 pixels) display with a pixel density of 256ppi. It is powered by a 1.2GHz Snapdragon 200 dual-core processor (Adreno 302 GPU) paired with 1GB of RAM, and also includes 4GB of internal storage that can be expanded up to 32GB using a microSD card. It comes pre-loaded with Android 4.4.2 KitKat and stock Android UI. The smartphone also features a 5-megapixel fixed-focus rear camera without an LED flash which can record videos in a resolution of 854 x 480 pixels. It comes with 3G dual SIM card slots, Wi-Fi b/g/n, Bluetooth v4.0, A-GPS and MicroUSB v2.0 port. A 1,980mAh battery is enough for usage for a day and half. It also features a nano coating on the inside as well as the outside which protects it from accidental water splash. It comes with dual SIM card slots, 3G. 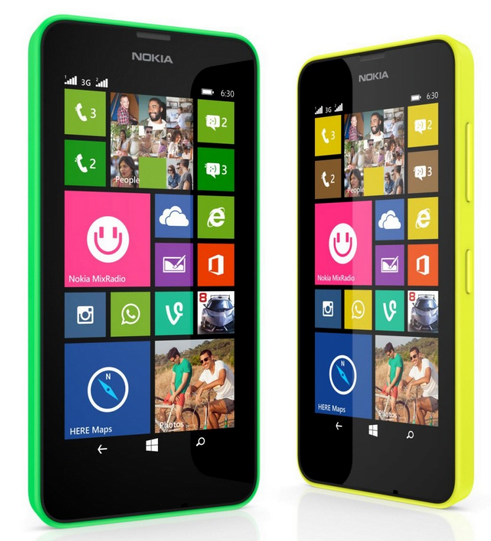 The Nokia Lumia 630 Dual SIM is the first dual SIM equipped Windows Phone device. It comes with a 4.7 inch FWVGA IPS LCD screen, a quad-core 1.2 GHz Snapdragon 400 processor, Adreno 305 GPU, 512MB of RAM and 8 GB of internal storage (which is expandable up to 128 GB of storage). The best part about it is Windows Phone 8.1 which comes with a lot of new features including Action Centre, ability to move or install apps to the SD card, Cortana and a file manager. There is a 5 megapixel camera with autofocus lens and HD video recording. There is no LED flash or a front-facing camera though, which makes me feel confusing as if it is really an upgrade to last year’s Lumia 620 or not. It comes with dual SIM card slots, 3G, Wi-Fi b/g/n, DLNA, Miracast, Bluetooth v4.0, A-GPS and microUSB v2.0 port. The device is powered by a large 1830 mAh BL-5H battery which lasts a day and a half in real world usage.. It was launched at an MRP of Rs 11,500 but you can now own a Nokia Lumia 630 Dual SIM for just Rs 9,500 if you buy it online. 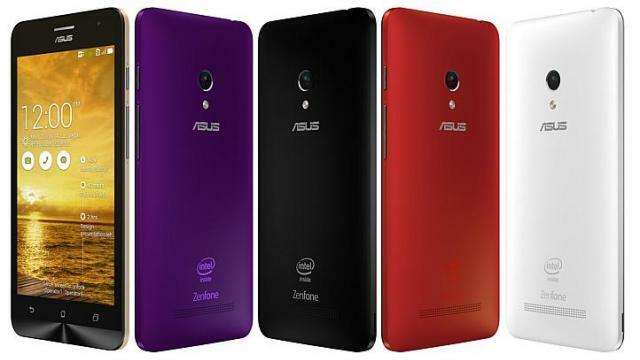 The Asus Zenfone 5 is a heavy-duty smartphone that is definitely a value for money. It offers a great design which feels premium in the hands. It comes with a 5 inch HD IPS LCD screen with Gorilla Glass 3 protection and provides a satisfying performance, thanks to a dual-core 1.6 GHz Intel Atom Z2560 processor, PowerVR SGX544MP2 GPU and 2GB of RAM . The Zenfone 5 runs on Android v4.3 JellyBean but an update to Android 4.4.2 KitKat will roll out very soon. The device sports an 8 MP rear camera with autofocus, LED flash, 1080p full HD video recording and a 2 MP front-facing camera. 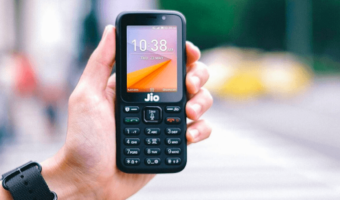 The connectivity options include dual SIM card slots (one of them supports 42.2Mbps HSDPA 3G), Wi-Fi b/g/n, Wi-Fi Direct, Bluetooth v4.0, A-GPS and MicroUSB port. There is a 2110mAh battery which should last a day, especially with the battery saving mode which Asus provides in its Zen UI. The Asus 8GB variant of ZenFone 5 is available online at a price tag of Rs 9,999 and there is also a 16GB variant which is priced at Rs 12,999 which comes with dual-core 2 GHz Intel Atom Z2580 processor and 2GB of RAM. Both of them come with microSD card slots.